I love love maternity sessions now! Isn't she a stunning mom-to-be?? I was a little worried about this session as I was driving to Kona that day. Waimea was in the midst of a wet, rainy, cold spell and I knew I could always count on the west beaches for warmth and sun. But Kona was gloomy and has short period of light sprinkles throughout the afternoon. I called Sarah two hours before the shoot, to set a back-up plan of driving to Abay if the weather gets worse. The nice thing about the Big Island (and probably other Hawaiian islands) is that you can always count on perfect weather somewhere on the island. 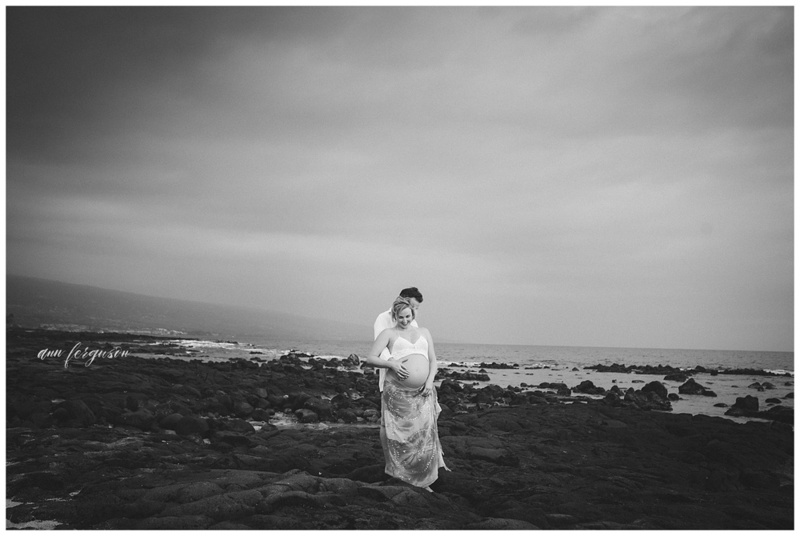 But we pushed through at the Kona Old Airport Beach; the rain stayed away and we had the most gorgeous light! 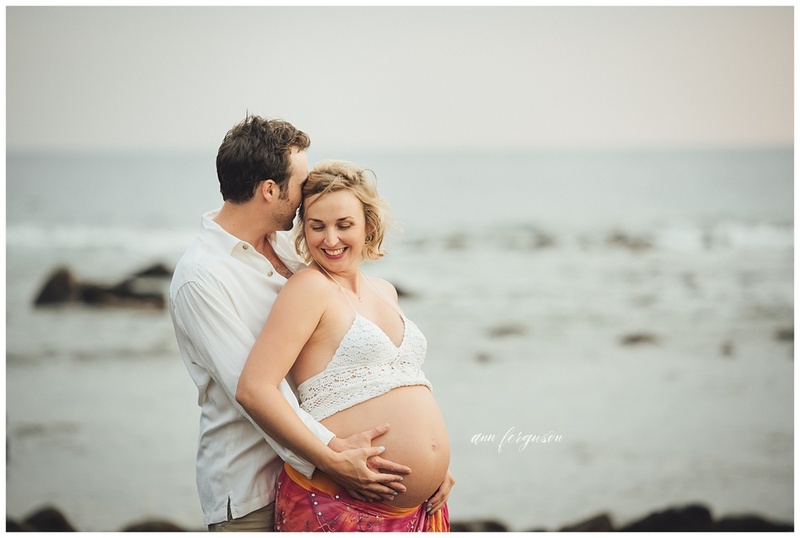 Ann Ferguson is a Hawaii Wedding, Elopement and Family Photographer based on the Big Island. She is available for commissions throughout the Hawaii Island and other neighboring islands: Maui, Oahu and Kauai. She has an unposed and storytelling approach to family, maternity, and couples sessions. Ideal clients love adventure and fun, will not think twice about getting soaked in water at some point, and most importantly, place a great value in professional photography.